After her near-fatal run-in with the Jack the Ripper copycat, Rory Deveaux has been living in Bristol under the close watch of her parents. So when her therapist suddenly suggests she return to Wexford, Rory jumps at the chance to get back to her friends. But Rory’s brush with the Ripper touched her more than she thought possible: She’s become a human terminus, with the power to eliminate ghosts on contact. She soon finds out that the Shades - the city’s secret ghost-fighting police - are responsible for her return. The Ripper may be gone, but now there is a string of new inexplicable deaths threatening London. Rory has evidence that the deaths are no coincidence. Something much more sinister is going on, and now she must convince the squad to listen to her before it’s too late. ©2013 Maureen Johnson (P)2013 Brilliance Audio, Inc.
Would you listen to The Madness Underneath again? Why? I am sure I would listen to it again before the third book comes out. I usually do. Well...... I know that is not very helpful but that is all I can say. I really do enjoy Nicola. I hear samples of some books and I know there is no way I will be able to listen to that person four hours. No. The first book I really wanted to know what was going to happen. This one did not draw me in in that way. It didn't develop as fast and there wasn't really anything solved. 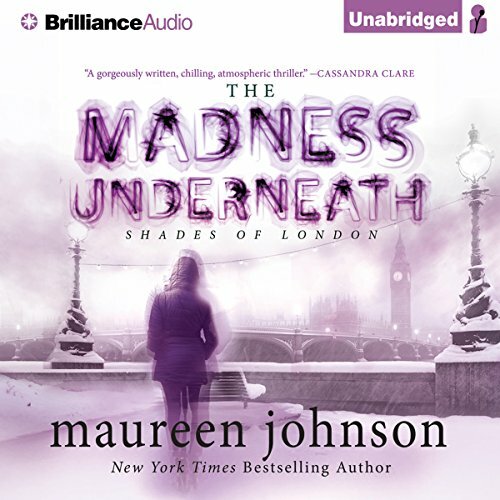 Where does The Madness Underneath rank among all the audiobooks you’ve listened to so far? I feel as if The Name of the Star, Madness Underneath, and the Shadow Cabinet (yet to read) could be one novel. There's a beginning, middle, and end, yet at the conclusion of the novels I feel as if I'm still in the middle of the story. I'd add more to the research and the ghosts purging forth and causing havoc. I liked this idea, yet it really only happened once. There was so much room to build upon here. I'm curious to see where the next book will go with this. 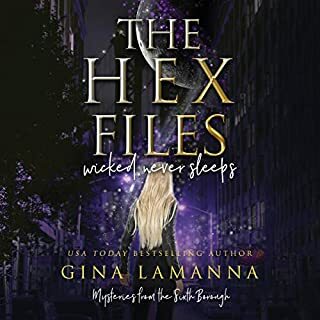 Nicola Barber is one of my favorite narrators. Her vocal range is impressive and engaging. Her interpretation of Boo, is a delight to listen to. That ending was a knife to the heart. What the Madness Underneath does so well is Rory must come to terms that her actions don't only effect her alone. 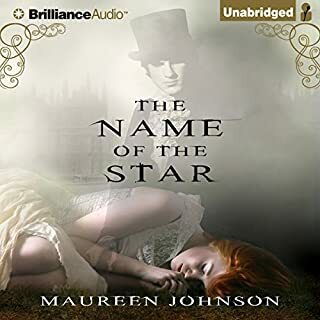 It's something we all learn, and Maureen Johnson writes Rory's character in such a way that you feel her pain and yet you aren't annoyed with her. What made the experience of listening to The Madness Underneath the most enjoyable? mostly an entertaining story. I would have to include spoilers to discuss what was least interesting. Let's just say I'm a romantic and author threw in an unresolved plot twist that went in a direction I didn't like. Rory, the narrator. She gets all the best lines. 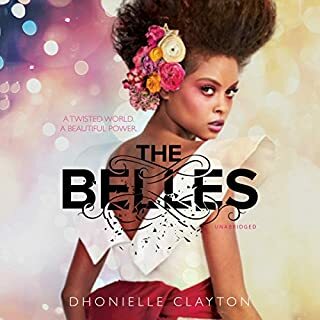 I don't mind cliffhangers on TV shows, and I don't mind loose ends that leave generous room for the next sequel, but this book ended with almost every plot aspect unresolved. And I mean all of them! I got the feeling that either the author missed her deadline and just turned in what she had or the editor cut the book in two to make more money. Or maybe that's just normal with this kind of series. Now I have to wait 6 to 12 months to find out what happens next. I think I wouldn't have stuck it out this long if not for Nicola and I certainly understand the urge, in the last 2 chapters of the book, to hurl it into a spiked pit. But also I'm fully invested now and glad I waited so long to read it because the wait between books 2 & 3 would have killed me dead. I loved the first book, but while I enjoyed this book, it felt like the author took a book and cut it in half. Everything in the book served its purpose, but it felt like a bunch of small events, that even once tied together felt unrelated (even though they sort of were). I felt like it deserved 3.5 stars, but 3 seemed too unfair... that could just be my cold medicine talking though. 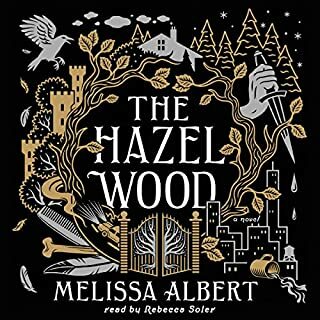 This probably won't be one I will go back and listen to again (unlike book 1). But at least the second book left me feeling very excited to start the third book! Thoroughly enjoyed this second London Shades book. Accents and characters captured perfectly by narrator. I immediately purchased the third book. I'd recommend this book to anyone who enjoys paranormals with a heart. 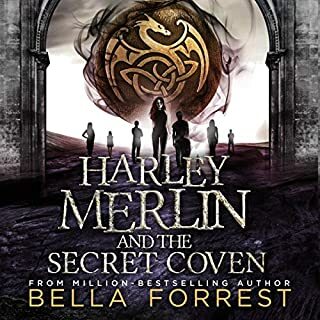 I would recommend this book to teens who like paranormal, fantasy, or horror. 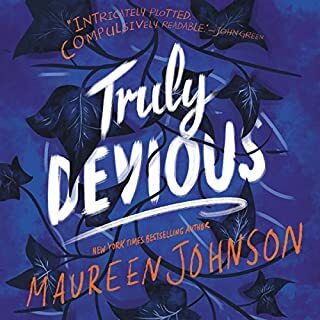 It's really entertaining from a paranormal mystery stand point, but Maureen is also just funny, dead on in capturing the teen experience, and also it's in London so British accents and culture galore! At first it was hard to get into. All the things that made the first story great were no longer present (no ripper mystery, no seemingly normal story about boarding school life with a surprise paranormal twist, etc). But by the end, Johnson won me over with a new cast to care about and entirely new direction for the story that was interesting and exciting. What does Nicola Barber bring to the story that you wouldn’t experience if you just read the book? Nicola is very good at the accents and voices. There are a lot of different accents and she did really well making them sound genuine and unique to the point where you know whose talking just based on the voice. Narration is extremely important to audiobooks. They make or break it. I'm at the point with this series that if they switch the narrator (Nicola) I'd have a very difficult time continuing. Her voices are the characters now, ya know? I don't know if I just got used to Nicola or if she's really just coming into her own on this second installment but I found it much better that the first. Critical even. Do you think The Madness Underneath needs a follow-up book? Why or why not? UM YES. Anyone reading or listening to the story knows that the ending leaves you saying "WTF JUST HAPPENED?" and needing to jump right into the next installment.